Today most adults recognize that leading a healthy, active lifestyle is a big plus. Moderate exercise has been shown to help lower blood pressure, keep cholesterol levels under control, and even reduce feelings of anxiety or depression. Kids who take part in athletic activities — whether they're playing on organized sports teams, bicycling, or just kicking a ball around — gain a host of well-documented health benefits. Yet inevitably, along with all the fun, the sense of achievement, and the character-building features of athletics, the possibility of injury exists. Therefore, it makes sense to learn about the risks involved, and to take appropriate precautions. Among all the dental injuries we treat in children, it is estimated that over 25% are sports-related, and the majority of these involve the top front teeth. Baseball, bicycling, handball, skiing, surfing and equestrian sports — plus some two dozen others — are activities that the American Dental Association (ADA) has identified as potential causes of dental injury in adults. Don't get us wrong: There's no question that the benefits of physical activity far outweigh the possibility of being hurt. But when serious dental injury occurs, it can result in pain, time taken away from school and work, and high treatment costs — which often aren't covered by insurance. If you had a piece of equipment, endorsed by the ADA, which could reduce the risk of sports-related dental injury significantly… would you use it? “Boil and bite” guards. 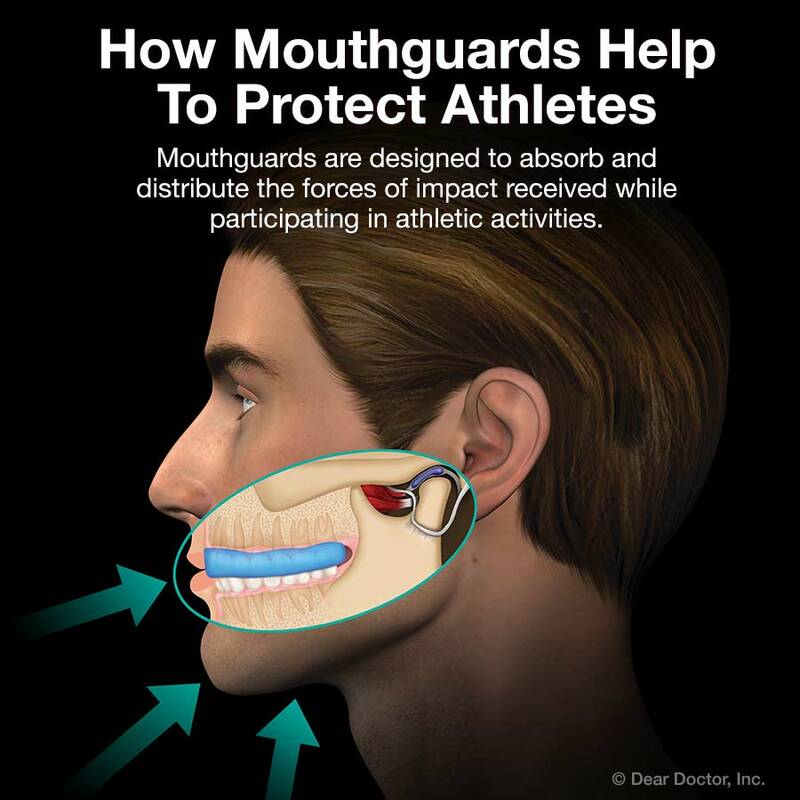 This type of mouthguard is meant to be softened by heat, and then molded into shape by fingers, teeth and tongue. It's a better choice than the first kind, but there can be wide variation in how much mouth coverage these guards provide — and in their effectiveness. Custom-made mouthguards are an indispensable piece of equipment — especially when they could save the inconvenience (and potentially much higher cost) of restoring or replacing teeth. 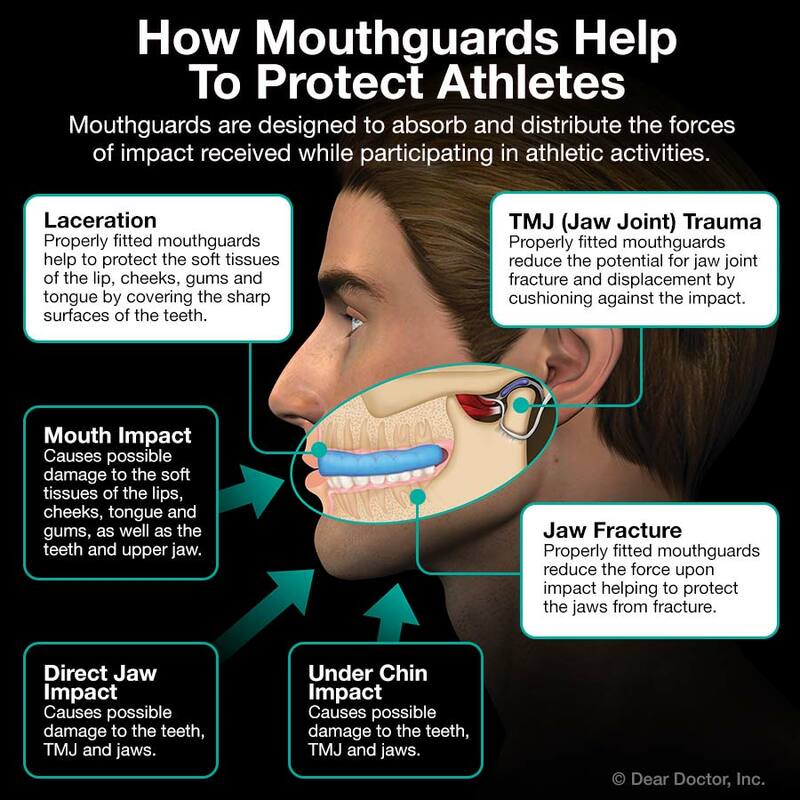 So if you or your children are active in sports, consider having a custom mouthguard made by our office. It's the best way to prevent a dental injury from spoiling your game.